Traded in your clunker for a brand-spanking new, economical hybrid? 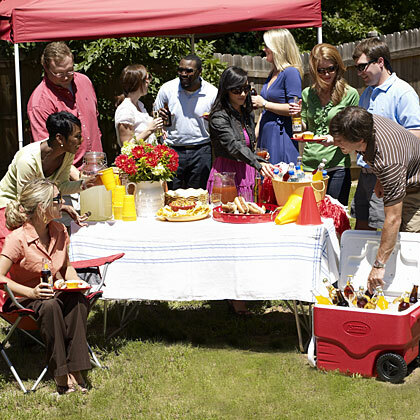 Then go green with this eco-friendly tailgate party. Gas may not be as over-priced this fall as it was last year, but it's still smart–and budget-friendly– to ditch the SUV for compact cars and hybrids. Go green for the team's tailgate with our small-car tailgating tips and eco-friendly menu. Just because you don't have a tailgate as wide as a dining room table doesn't mean that you can't tailgate in style. With a little pre-game planning, you'll be tailgating as large as ever. • Assemble sandwiches at home before heading to the game so you don't have to transport individual ingredients. • Keep drinks cool in light and flexible neoprene chilling bags instead of bulky coolers. • Carry a thermos of water instead of individual bottles to cut down on trash and space. 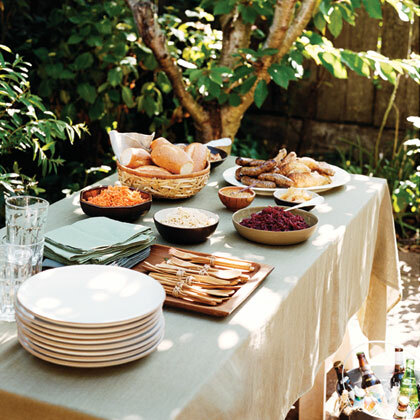 • Bring a fold-up table-in-a-bag to give you a place outside of the trunk to set out the food. These tables fold up and fit compactly into a canvas bag. • Bring foods that don't have to be refrigerated to eliminate the need to cram a huge cooler into your car. Examples include cheese straws, snack mixes, fresh fruit, dried fruits and veggies, peanut butter, salsa, chips, crackers, and cookies. • Bring easily-packable foods. For example, you can pack a pan of brownies more compactly than you can a frosted cake or cupcakes. Sturdy desserts like oatmeal cookies can be packed into small container and not crumble. Although you've taken the first step of heading to the game in an economy car, there are still other ways you can turn your tailgate green. • Instead of wrapping sandwiches individually in plastic wrap, place them all in a reusable storage container with an airtight lid. • Buy snack foods in bulk and package in reusable container rather than buying a lot of pre-packaged snacks. • Bring bags for recycling trash. • Eat on reusable plates and cups (instead of plastic disposables) or use disposable dishes made of natural fibers. Purchase utensils that are made from recycled materials, such as Giam's red partyware set, and use them throughout the season. • Use cloth napkins instead of paper. • If you're going to grill, bring a small tabletop grill and use natural charcoal instead of briquettes. • Bring a large thermos of water instead of using individual plastic water bottles. 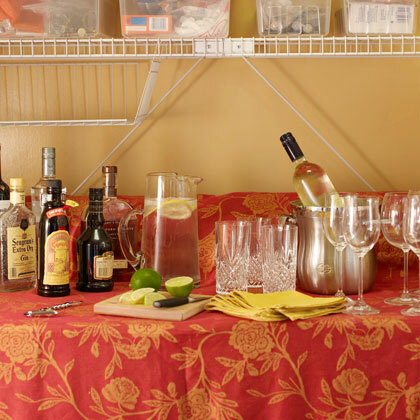 10 easy tips to reduce waste, increase charm, and entertain with ease.